Your foster caregivers provide a warm and safe place for their foster pets, but do they know how to properly clean and disinfect their homes? This is especially important when there is a sick foster in the house. 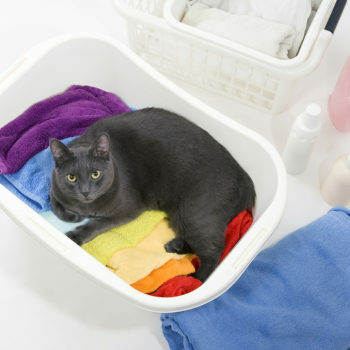 Everything from how to clean, why, when and supplies needed are discussed in this 17-minute Flash Class, Cleaning and Disinfection in Foster Homes. You’ll learn about fomites, any nonliving object or substance that can carry infectious organisms, such as viruses and bacteria, which can be transferred to other animals. Floors, walls, bedding, crates and the hands and clothes of humans are common sources of contamination. Fomites are basically everywhere! You’ll also learn about the best supplies to use for your foster homes that will make it easy to disinfect (bleach is your friend!) between foster stays, and how to do it.